More often than not, people think that graphics and texts are independent. An average person will post a great image, but neglect the text or on the other hand, post powerful text with no accompanying graphic. 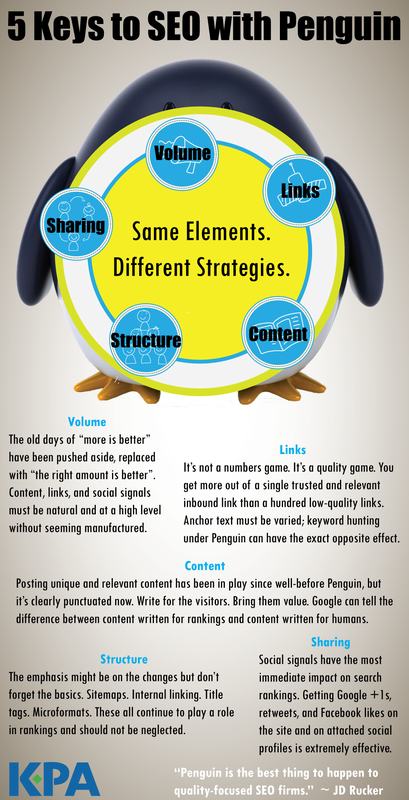 So what if we could combine powerful text and a helpful image to create a graphic that provides information? We can, and the result of this combination is called an Infographic. Infographics are great considering the short attention span of the average content consumer; in fact, you’ve got just seconds to catch someone’s attention and inform them of the information you want to convey. While we generally try to avoid idioms, the phrase “killing two birds with one stone” is more than appropriate when talking about infographics. You can convey information, while maintaining your company's brand and land them at the end of a great graphic with a better hook. Infographics are not just important important to catch your reader’s attention but, they’re huge for SEO (Search Engine Optimization). All of the words on the infographic will be read by search engines and used to help place you hire on organic web searches. • They can be recycled. The research you’ve used to create an infographic can turn around and generate a press release. • They get shared more than just regular text. Are you still not sold yet? Maybe you will be once you see how easy it is to make an infographic. There are sites like infogr.am and visual.ly that take you step by step through creating your infographic from the beginning stages of deciding what content you want to feature, through the end final touches making your ingoraphic design stand out! Try it out and see if you get the ROI you want for your business. Having worked in the dealership for the last 15 years I have firsthand experience with all these things and then some. Immediately prior to joining iMagicLab I made a conscious decision to enter the vender world, just as I made a conscious decision to enter the retail auto industry so many years ago. It wasn’t happenstance, wasn’t “a job” but is a career fueled by a passion. It's amazing to me when talking with dealers how many times they don't expect me to understand these things simply because I’m a “CRM Vendor.” Here’s a fun list of some of the more common highlights your CRM vendor doesn’t know or understand. 2. Contracts in Transit and what it really means for the Dealership!! – Every Finance Manager just broke a sweat! 4. They don't know how to appraise a trade. – Sure they may have tools that pull numbers from KBB and black book, but we all know that’s NOT "appraising." To them recondition cost is just a magical number. I know that wad of gum stuck in the driver's side carpet is going to cost $65.00 and the cracked windshield will be $133.50. No tool is going to have that info on the fly!! 5. They don't realize what an early model trade can do to a cash position. – We had a great weekend, sold 28 cars with 10 early model trades and sales people were mad because I wholesaled them all. We couldn’t floor them and we needed to preserve our cash position. 6. They don't know how to sell a car. – Sure, they can rattle off a preprogrammed road to a sale but can they create their own? Based on your store, your market, your brand and your team? Do they know how to switch a customer from an F250 Crew to a used Malibu? It’s my opinion that the key to working with dealers and providing the level of service needed to facilitate positive and sustainable change is understanding their business. Helping dealers find the right solution that matches their needs is what makes this job amazing. I understand more than most of my contemporaries that cookie cutter approaches simply don’t work. -Chris Vitale is Vice President of Sales for iMagicLab and resides in Baltimore, Maryland which is where the company’s headquarters is located. Is anyone clicking on your tweets? 3 tips to make sure they do. 'Do you know the average click-thru rate for the tweets your brand sends? If not, you can easily find out here. According to the research, the average rate is a little more than 6 percent. While this may seem low, it's still higher than the industry average click-thru rate for banner ads, which is between 1 percent and 2 percent." 1. Use your headline to pique interest and prove the value of your article. One of the best pieces of advice I received when it comes to using Twitter is, "Don't tweet boring stuff." While this may seem obvious, many brands aren't sharing content in a way that piques the interest of their audience. The best way to connect with your audience with social media is to share content that will add value and enrich their lives. By enticing your followers with a line helps them believe that by clicking on the link, they will learn something valuable, you'll make sure that the tweets you're posting are interesting, engaging and "click worthy." 2. Find the right time to tweet. Once you've identified the kind of content that resonates with your audience, the second step is to find when they will be most likely to see the tweet. By identifying the optimum time to send your tweet, you can ensure that you're sharing your content during the highest traffic time for your audience. There are some great apps that can help you identify the peak time for your specific brand, one being Buffer. Along the same lines, don't assume that just because you shared a link once, your entire audience saw it. If you want to drive traffic to a particular blog post, share the link multiple times throughout the day, intermingling it with your other content. The only way to learn is to experiment. Maybe there'll be a certain time which people are really receptive. Maybe there's a certain topic that isn't resonating with your audience. As with any marketing tactic, you can't improve what you don't measure. Almost every social media tool offers some sort of analytics for its users. By measuring, you'll learn and optimize. And you'll make your tweets and content more engaging. What tools are you using to improve the click-thru rate of your tweets? How have you seen it improve your overall traffic and sales? Calling for my hero, my mentor, my first manager. Way back when, on Dec 19th 1980, I got my first start. It was with Kearney Mesa VW & Peugeot in sunny San Diego, California. Rick Rodriquez, or “Rickyyyyyy” as I called him every time I needed help, jumpstarted my career in the auto industry. Rickyyyy! Do we have this? Rickyyyy! Do we have that? Rickyyyy! Where is this? How much is that? What do I do now? But Rick never ignored my persistent requests. Not only that, he was always there with a smile, always polite, and always to the rescue. Of course my customers always appreciated me calling for Rick’s expertise. Granted, some were a little frustrated with my broken English, but Rick’s willingness to help me always impressed them. I sold my first car! A 1980 Dasher Diesel, earning me my first commission of $132.00. From there, it only went up. My English got better, my commissions got higher, and Rickyyyy got a whole lot busier trying to keep up with me. EMI (Early Manager Introduction) was a cornerstone in my foundation as a young salesman, and continues to be a cornerstone in every sales environment I am involved in. Would you try EMI today? Shortly after meeting a new prospect on your showroom floor, after personal connection and before going to product selection, just wave to your manager and call for your “Rickyyy”! …Or whatever his or her name may be! - Look for/create the perfect moment. - Don’t make an announcement, Just do it. - Invite the manager to come to you. Don’t go to him/her. - Introduce the customer first & the reason for the visit. - Introduce the manager and pay him/her a compliment. I am in Ft. Lauderdale getting ready to go to Karry's memorial service (Thank God, they are not calling it a funeral). I feel like I am moving in slow motion. This is such cliche to say, but I feel like this is not real, this is not really happening. But, I know as soon as I step foot into the service and see everyone else, when I see his family... it will become all too real. I brought my wife and kids to say goodbye. Lil Sean is too young to understand the finality and magnitude of the situation but my daughter understands completely. She is 11 and has known Karry for over 5 years now and she herself has some pretty cool memories of him herself. Here is the post I put on FaceBook on Father's Day when I found out Karry Passed away. (I used a picture of my wedding, because it was literally one of the happiest days in my life and Karry was a big part in it... he was a Groomsman! I do not know where to begin... My heart is heavy and I am filled with such confusion and anger. Today is Father's day. Today is a day to honor Fathers and show our love, respect and appreciation for them. However, today a Father was taken from us... Karry Moore. Karry had become a good friend of mine over the last 5 years. And anyone that knows me, knows that it isn't easy being Sean V. Bradley's friend. God knows, at times, I drove him crazy but for whatever reason he saw something in me. He always told me that he had a lot of respect for me and admired me. He also knew that I had a lot of potential. Karry took the time to further develop me. I have to say that I learned so much from Karry directly about business, relationships, technology and more. I developed a strong trust and respect for him. I admired how much he enjoyed life, how much of a good friend he was to everyone, how patient… the man had a LOT of patience! And what really impressed me was his love for his family. How much he loved his kids and his fiancé Nora. He was so happy when he talked about his kids and Nora. I am very glad that they had the opportunity to fly up to Philly / NJ and stay with Karen and me. We took a Limo to NYC to go see the Rockets (front row) and lived it up ☺. I was right there in the very beginning with Karry and AJ when they launched VSEO Inc...which turned into Car-Mercial. I am proud that I helped build that company with them. As much as I shared with Karry and AJ, they included me and shared with me. Car-Mercial has been good to me, to my family, to Dealer Synergy and to my clients. A lot of the subject matter knowledge on VSEO I learned came from Karry (And AJ). When Karry first told me that he had Cancer, my heart dropped. He was so young, he was such a good person, he had a fiancé and kids. I was perplexed… How can this be??? But, none of that mattered. Cancer did not care about any of that. It got him. At first I was so scared for him but Karry sounded so positive and strong and so sure he was going to beat this thing. I believed he could fly… I would speak to him pretty often and whenever we spoke, he was positive and giving me updates of success. Then things started to go the wrong way… the cancer traveled to his brain and he was having seizures… Yet, when we spoke he was lucid, positive and CONVINCING! Funny story… I asked him what he was going to do when it was all over and he beat Cancer…? He said that he was going to get a BIG tattoo on his back throwing up the finger to the Big “C”. We both laughed! On May 29th, He called me to tell me that he and Nora set a Wedding date in November (the 18th). He wanted me and my family to come and be a part of it. We were all so happy and excited for him. Less than 1 month later he is gone… On Father’s Day. Its such a damn shame. So random, so ferociously final and with no mercy. All I can say is that he was a good man. He really was… not because he is no longer here but because he was a good man, a good father and a good fiancé. He was a great friend, Karry was always there for me. Whenever I needed to talk to him, whenever I needed help. Again, he was always patient. He was a good friend. I am very glad that I not only got to know Karry Moore but I can say he was a friend to me and my family and because of our friendship I am a better person. Please remember, that we NEVER know when it all comes to an end… but we all know it will end. Do not waste time with the stupid B.S. that life throws at you. In the end NONE OF IT MATTERS. What matters is family, friendship, relationships and love. I do regret that I didn’t spend more time with him. We talked in the past of visiting each other more but I live in Philly and he lived in Florida and we both ran national companies and we both had families… we had great reasons. And when he got sick, I wanted to visit him but he said that he thought I should wait until he got a little better. Every time I asked, he said he wanted to get a little more healthy before I came and visited with him. I am upset that I didn’t book a flight and just go! What is Going on Here...? If you Google or youTube "How To Buy A Car" It is Filled with LIES, Mistruths, Cliches! DEALERS WAKE UP! What seriously disturbs me is that NO ONE is doing anything about this... NO ONE? No OEMs, No Dealer Groups, No Dealerships, No Automotive Managers, No Automotive Sales Consultants... No one. What is sad is that the PUBLIC sees this as REAL, as the TRUTH. Why...? Because it is on the FIRST page of Google and the First Page of YouTube!!! Most people are NOT subject matter experts. They are going online for some information, some direction and then they stumble into this type of trash... What is SAD is that they actually believe it. And why shouldn't they...? Its not like there are other, more compelling videos that tell the REAL story. So, if you are watching this video or reading this post with distain... DO SOMETHING ABOUT IT! * How To Buy a Car? These are just some basic ideas. The point is CREATE CONTENT, INFORMATION to the PUBLIC. Stop just thinking the internet is a "Point of Sale" resource... You need to capture people at "Point of Interest" and CULTIVATE the opportunity. **ORIGINAL Video is titled "4.1.5 Rob Gruhl - How to Buy a New Car - Ignite Seattle 2007.mp4"
The rules have changed in automotive SEO. In fact, they've changed for the entire search engine optimization world. It's no longer a function of quantity that determines rankings. More content, more links, more social signals - that's fine, but it won't help you as of April 24, 2012, the way it used to. Today is the world of SEO quality over quantity. These changes have been anticipated for some time but only now are they really becoming apparent. Some dealers are dropping in rankings based upon their (or their vendor's) SEO efforts. As a result, others are moving up. Which side of the fence do you want to be on? Here are some best practices to help you get on the right side of the fence. Click to enlarge. Automotive Internet Sales LIVE Phone Training Workshop, Drilling & Role Play - Dealer Synergy's "12 Days of Christmas"
Ok... You saw that video. Now watch the previous video. I am SO proud of this team. They went from Not feeling comfortabel, not being able to clear the whole 10 steps to CRUSHING it. But that is STILL Not enough... I want my team to know the phone process inside and out, forwards and backwards. They will get there! A Mercedes-Benz dealership, who is part of a large auto group in North Carolina, invested in online Pay Per Click (PPC) advertising with ReachLocal in November 2010. Their goal was to reach potential car buyers in their metro region, and to win business that might otherwise buy a vehicle from a competitive Mercedes-Benz dealership, or buy another Make of vehicle altogether. The dealership worked closely with their Internet Marketing Consultant to build out a comprehensive list of keywords that a car buyer might use in searching the web for a vehicle. This list included every model of new and used vehicle they sell, as well as competitive keywords that might attract other buyers online. Their final keyword list was comprised of hundreds of keywords, both stand alone, and those paired with the major city names their customers likely come from. Text ads were created to describe the dealership’s strengths and to create a compelling “call to action”. Effective text ads work by attracting the right searchers, and deterring the wrong ones. These ads were then mapped to the appropriate pages within the dealership’s website so that the searchers experience was seamless. Once all of the elements of the PPC program were created, ReachLocal implemented them across 98% of where people search, including Google, Yahoo!, Bing, AOL and Ask. Tracking was set in place to identify any phone call lead that came in through the campaign, as well as any email or request for more information. The program ran for 12 months, averaging 157 inbound leads per month for the dealership. After the first 12 months, they were so pleased with the performance that they increased their budget. After the budget increase, they experienced an average of 220 inbound leads per month. This averaged out to be an $11 - $12 cost per lead. Not only was the volume of leads impressive, but they were also highly qualified leads. People searching online for a vehicle are doing their research and have a better idea of what they want when they do make contact. So the leads that came in through their PPC program were better quality than those they were receiving from offline forms of advertising. The Mercedes-Benz dealership not only grew their own PPC program, they also expanded to create similar programs for the other dealerships within their automotive group. Currently their entire group is advertising online with ReachLocal to generate qualified, inbound auto leads. By now, nearly everyone has heard of ZMOT and how it might possibly be relevant for the automotive industry. In case you haven’t, ZMOT stands for “Zero Moment of Truth,” a concept developed by Google. It states that today, decisions on brand selection are happening before a consumer arrives at a store to make a purchasing decision. This also applies to how consumers shop for a car. This might not sound like anything new; we have all heard from NADA, JD Power & Associates, Cobalt, Autotrader and the OEMs that almost everyone goes online before they step into the dealership. Personally, I’ve been immersed in Automotive Internet Sales for more than 13 years. So, the fact that people are going online first isn’t a huge revelation — it is what it is. However, what has evolved is what is happening and why. People are finding out about a product or business (whether they know the URL or not). To be specific, more than 72 percent of all transactions start online, from one-dollar transactions to jet engines. The first place people go to is search engines (Google, Bing, Yahoo, etc. ), or they may something on TV, radio, see something on a billboard or in a newspaper, magazine or hear about a product from a friend. In any event, they wind up on search engines relatively quickly. People believe that they will get the “real deal” on what they are looking for. “If it is on Google, it must be real,” they think. So, the consumer will do the initial research on the product or service online. That doesn’t necessarily mean they are accessing the Internet from a home computer or laptop. They can be accessing the information through their mobile device like an iPhone or Android. The next logical step for the prospect is to validate that information even further. Prospects can (and do) go to a myriad of review sites such as Google Places, Dealer Online Reputation, Yelp, Merchant Circle, Edmunds Dealer Reviews and Cars.com Reviews, just to name a few. The consumer wants to make sure that they do not waste their time with bad choices. They have access to too much information for them to have to deal with headaches. Take for example a couple choosing where to go eat out for their once a week “date night.” If you only had one time a week you were going out with your spouse because you have three kids, a puppy, a career, etc., try to imagine how someone will feel when they are spending $20,000, $30,000, $40,000 or more. That is why 80 percent of consumers say that peer reviews influence their buying decisions. An automotive purchase is usually the second most expensive thing the average human being will ever buy in their lifetime, next to a home. But there is another variable: social media. Consumers will also go to their social networks and ask their “friends and followers” thoughts, opinions on products or services before they ever go to the store or the dealership. I am going to focus on online reputation for the rest of this article, and the next article I will dive deeper into the other parts of automotive ZMOT strategy. 1. How would you rate your experience at the dealership from 1 to 5 (5 being the highest)? 2. Did I (sales consultant) exceed your expectations? If so, how? 3. What did you like (or appreciate) the most in this experience in purchasing this vehicle? 4. Would you recommend me and this dealership to everyone / anyone? It is TRUE that some review sites are IP Address specific and do NOT allow a client to post a review at the dealership, Here is the reality... there are a LOT of ways around that. *** Please understand what I am saying here... I am NOT advocating using fake reviews or irrelevant reviews. I am saying ONLY to use REAL reviews that REAL clients give you and give you permission to use. Try to image if every salesperson and service writer made 100-percent attempts to collect testimonials both in text as well as video, and you posted (syndicated) them to all of the relevant places online. In a short matter of time, you will be able to dominate the search engines with a ton of positive reviews. I want to show you a quick example of a highline dealership that has bad online reputation. I happen to think they are an awesome store (and they are not a client). I serviced my brand-new vehicle there and I was so impressed with their service that I felt bad for their bad online reputation. On my own, as simply a customer, I shot a quick positive video review and posted it to YouTube and did the proper video optimization. Now, when you Google them, my video shows up prominently on the first page of Google (just Google “Cherry Hill Porsche”). That is just me as a client — can you image if this dealership did what I did? Their online reputation will turn around very quickly! If you have any questions about this article, Google’s concept of “Zero Moment of Truth” / automotive ZMOT or how you can better equip your dealership (or individual sales consultant) to dominate with a positive online reputation, please feel free to call or e-mail me. Sean V. Bradley is the founder and CEO of Dealer Synergy, a nationally recognized training and consulting company in the automotive industry. He can be contacted at 856-264-0564, or by e-mail at Sean@dealersynergy.com. Courtesy of Insignia guest blogger Delia Passi, CEO of WomenCertified Inc., home to the Women’s Choice Award.To learn more about how you can get women to recommend your dealership, email Delia at dpassi@medelia.com. A popular quote often attributed to George M. Cohan (and others) is “I don't care what the newspapers say about me, as long as they spell my name right.” It’s an interesting perspective but it is definitely not my advice, especially in this information age. What is said about you in the global forum of the Internet is very critical to your success. A recent study by Cone Trend Tracker (Aug. ’11) found that “80% of consumers have changed their minds about purchasing a recommended product or service based solely on negative information they found online.” This figure is a significant increase from the prior year’s 67%. It is becoming increasingly easy to find online reviews, comments, complaints (and praise), and blog entries about most products and services, and the companies that deliver them. That is why you need to do all you can to make sure that your happy customers have opportunities and encouragement to praise your great products and services. Women are even more likely than men to turn to online sources to reaffirm their purchase decisions before they make them. And they’re also quite likely to turn to the web and other sources to offer their opinion of their buying experience after the experience, so make it great. Don’t plant glowing feedback to counter that of unhappy customers. If it is uncovered, the repercussions can be more trouble than the complaint. Do what you can to let customers both on and offline know that you are doing wonderful things to keep them coming back. That’s the WomenCertified® Way! If There is ANYONE Who Thinks Social Media is NOT Important, Valuable, Amazing, Useful, Needed - WATCH THIS VIDEO! I was BLOWN away by this video! If they can accomplish ALL of that... You can ALL leverage Social Media for your dealership(s). *** PLEASE FORWARD THIS VIDEO TO EVERYONE YOU CAN!! This seems too obvious to mention; yet many businesses advertise where the ad reps tell them to, or where it’s easy to place an ad, or where they can get a lot of vanity exposure. Make sure you build your ad campaigns in response to prospect behavior, not media convenience. In search marketing, this is pretty easy. Choose the right keywords and by definition you’ve found your prospects. Many keywords that seem to represent buyers may not; think about the difference between informational and transactional keywords: “I’m looking for info so I can solve this myself” vs. “I’m looking for just enough info to buy wisely.” Select keywords to target your ideal customer, the one who already agrees with your main value proposition. Figure out when your prospects are hungriest, and catch them then. This also may seem obvious, but do you still get coupons on the back of your grocery store receipt offering a different brand of the thing you just bought? Can’t think of worse timing to make an offer like that. Place each of your top keywords on a rung on the ladder of awareness. Then make sure that your ad and landing page matches that level. By choosing to stand out in a premium location, you can get the benefit of a much higher return on investment (ROI). We see this with our PPC clients who pay a premium for the top-rank ad locations (the ones above the organic search results, as opposed to the right column on the search results page). The difference in response is often astounding. Within the very same campaign, the ads that appeared in the premium real estate were eight and a half times more attractive than the very same ads on the right side (2.49 percent click through rate vs 0.29 percent). Yes, they cost more per click ($7.67 vs $5.69), but they generated 22 conversions, compared to none for the side column ads. This doesn't mean you should always pay a premium for the most visible ad space; that’s your sales rep’s job. Rather, you should experiment. Make investments that your competition is unwilling to make, then measure the results. One way to get a premium listing is to pay for it. You may be the only local sewing machine store in your town to advertise on the Super Bowl, but that may not be a good use of funds. You can rent the biggest billboard, buy air time on the most popular morning talk show, and sponsor the biggest booth at the trade show; but that doesn’t mean you’re going to stand out and get noticed. Ask the question, “How can we do something nobody else is doing?” and hit upon a winning strategy. As you plan your next PPC campaign, be willing to spend for results, but start by spending your creative energy first. How can you get the right message to the right people at the right time in a way that sets you apart from your competition? Thank you for taking your time to chat with us. You and your team had a huge impact on the overall mood of our department! I am ready to relax and recharge over the weekend and come back in here Monday morning with a different mindset. As much as we enjoyed the cow and pirate joke I thought maybe you could use some new material. I took the time out of my busy day to find you this link of jokes.